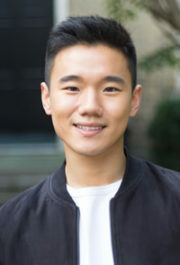 David Lee is a first year medical student at the University of Toronto and recently completed his Bachelor of Health Sciences (Honours) at McMaster University. David’s research span social determinants of health and innovation. He has co-founded a startup called Catalytics Inc. which aims to identify high-cost healthcare users using social determinants and artificial intelligence. Outside of school, David is a passionate advocate for health promotion in equity seeking populations.